Not all kangaroos are hopping across the savannah or infiltrating suburban yards. Some are hanging out in the mountainous rainforests of Papua New Guinea - but they may not be able to do so for much longer. 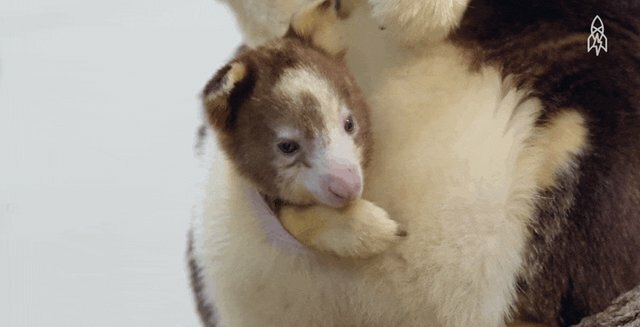 The Matschie's tree kangaroo is one of 14 such species worldwide. A new video from CNN's Great Big Story takes viewers incredibly close to a few of these rare 'roos, including a precious little joey who's still hanging out in his mother's pouch (which he'll do until he's around 10 months old). Unfortunately, life isn't all cuddles and climbs for these adorable creatures. 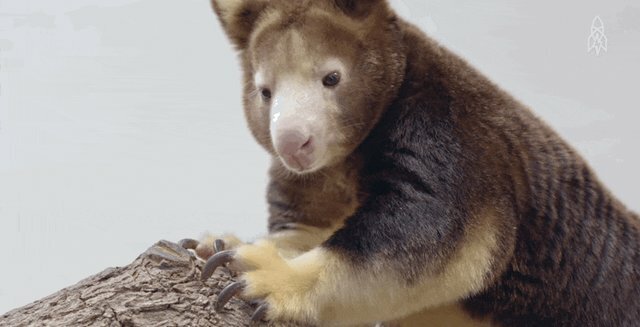 Matschie's tree kangaroos are losing their homes - and fast. 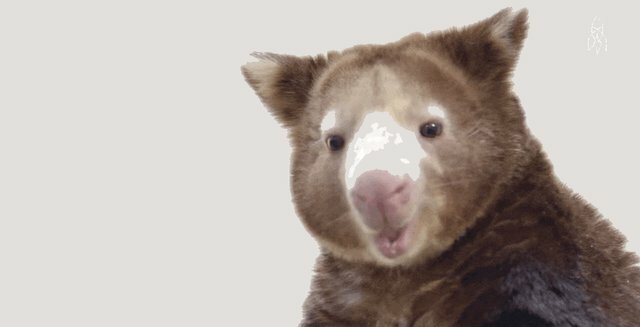 Papua New Guinea's booming logging industry presents a constant threat to tree kangaroo homes as trees are harvested for timber. The country is also plagued by rampant illegal logging activity; in fact, up to 70 percent of Papua New Guinea's timber exports may have been harvested illegally. The oil industry also poses a threat. Drilling operations in Papua New Guinea, which funnel oil to the Gulf of Papua via pipeline, have steadily destroyed rainforest habitats for over a decade. Matschie's tree kangaroos have also been targeted by indigenous hunters for meat. But the fight's not over for these hardy marsupials. One thing's for sure: This incredible animal is worth knowing about - and saving. You can buy an acre of threatened rainforest habitat here.